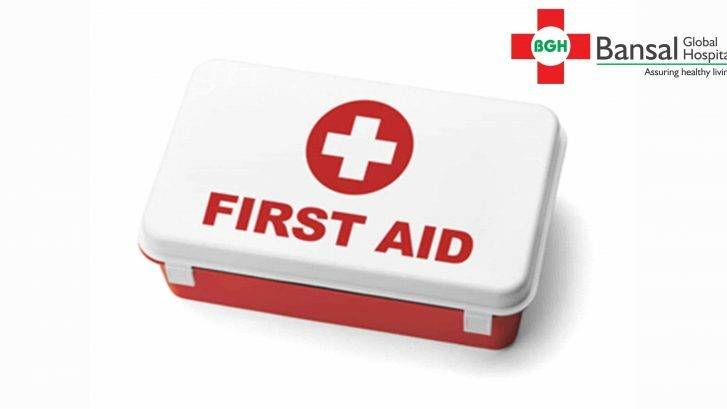 Band-aid – Keep water-proof band-aids for cuts from blades and other sharp things. If the cut comes in contact with iron or harmful metal, get a tetanus injection within 48 hours. Dettol- Dettol or any other antiseptic liquid should be at home for cleaning minor wounds and cuts. Cotton- To apply antiseptic ointments and liquids to wounds or to clean them. Gauge: When the wound is too big for a band-aid, prefer gauge to hold cotton soaked with antiseptic liquid. Betadine Ointment: Antiseptic ointment for cuts and wounds. Silver Nitrate Ointment: Apply on burns after keeping the burnt skin under normal tap water for about half an hour. Cold Pack & Pain-relief sprays: For sudden spasms. If you think the wound or injury requires an advanced treatment, don’t delay and take the patient to a hospital nearby.